Industrialized cultures have grown to accept “modern medicine” as a miracle and the norm for treatment of everything from headaches to cancer to corrective surgeries for organs and structural conditions. Yet we survived for hundreds of thousands of years or more using only natural remedies. Today, many in the so-called advanced societies are looking to natural remedies rather than modern medicine. Why would we want to use natural remedies instead of fast-acting, scientifically researched treatments created in a lab or operating room? That is, the opposite of ease. Or, a lack of balance in the elements needed for healthy body and mind. In terms of medicinal use, people who seek natural remedies (also called “home remedies,” “kitchen remedies,” or “natural cures” among other terms) want medicine made from natural ingredients such as herbs, fruits, vegetables and other botanical sources. Why? Because these natural remedies and “cures” do not do not damage the body with harsh chemicals, and in most cases have no negative side effects. All pharmaceuticals are toxic to some degree. That is how they work. For instance, antibiotics are designed to kill things, so of course they are toxic. Other types of drugs are target to kill things or to alter the natural course of your body’s functions. They all have to be processed by your liver (that is usually already overburdened in our culture) and many carry severe side effects that are considered “acceptable” risk by the medical community. Tradeoffs. No “disease” is caused by a shortage of pharmaceutical drugs. The condition may, however, be induced by insufficient vitamins, minerals or enzymes, too many toxins, too much sugar, insufficient water, lack of good sleep, and so on. 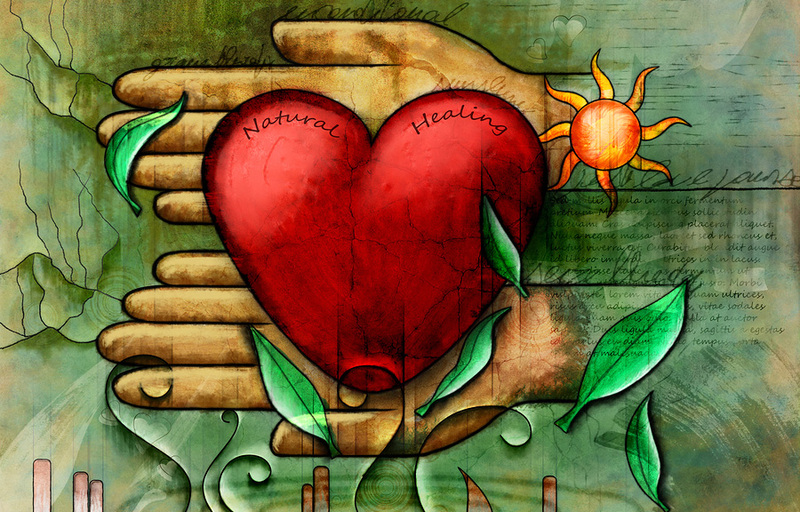 People seek natural remedies to determine the source of the imbalance in order to let the body heal itself. Most of us have known someone with a excruciating back or neck problem whose doctor recommended surgery but opted for chiropractic or physical therapy instead, and achieved full recovery. Often surgery causes the source of the problem to shift to another area. The anesthesia and pain medications alone are enough to put the body into crisis, not to mention the shock to the body and incredible energy required for the healing process after surgery, energy that is drained from the immune system. All of our organs have a purpose to keep the body balanced, so why would we want to remove one if we can help it? Some conditions are helped immensely by exercise, yoga, chiropractic, acupuncture or acupressure, energy healing techniques such as Reiki, or even a pleasant massage to help relax strain and stimulate the lymphatic system. Although the cost of natural remedies such as herbs and non-invasive procedures (such as chiropractic) can vary greatly, natural remedies are often quite inexpensive compared to continual visits to the doctor and pharmaceuticals drugs or surgery. Some people enjoy creating something useful from scratch, or seeking out the information to address their own condition, rather than paying hard earned cash for commercial medicines with detrimental side effects. 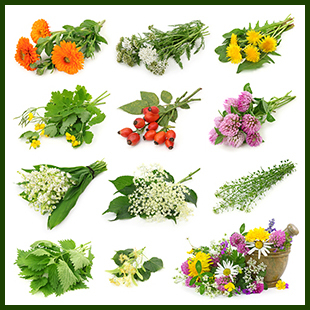 Natural remedies cannot immediately solve every problem, although some form can usually be used as complementary medicine. Natural remedies are usually more gentle, and often work more slowly than a targeted medicine. In situations that are not life threatening, this is preferable than using toxic medicine, but sometimes we just want to get over it already. Even purists will reach for the aspirin or ibuprofin occasionally to squelch that persistent pounding headache that is interfering with the day. When an injury or infection is life-threatening, it only makes good sense to use the miracle of modern medicine. This is kind of a two sided issue. Some people are willing to spend their entire life savings looking all over the globe for natural treatment of mild or serious conditions. More often, we are conditioned to believe that our health insurance, when we are lucky enough to have it, should pay for everything. We are not inclined to go outside of the system to pay for a natural herb or body work when we can go to the doctor and get a prescription that our insurance or medicare will cover. Admittedly, the out-of-pocket costs for professional massage, acupuncture, exotic prepared herbs and tinctures, etc. can add up. Fresh, organic and non-GMO foods are generally considerably more expensive than foods that have been processed or treated with pesticides, herbicides, fungicides and the like. Why Use Chemicals Instead Of Natural Remedies? Humans and animals used natural remedies for tens or even hundreds of thousands of years before we created chemicals and synthetic drugs during the last couple of centuries. Our culture has not passed down the knowledge of how to make and use natural remedies, but we can learn again. Many ailments can be helped using food found in the market or ingredients from your kitchen or readily available online or from health food stores. Why use toxic chemicals that can harm your body when natural remedies use safer herbs, spices and foods from around your home? Natural cures are good for your body and usually save you money. Upcoming articles will address what to use, types of herbs and spices, how to prepare some natural remedies, and what foods and ingredients in your cleaning and skin care products are safe to use to avoid dis-ease in your body in the first place. Copyright © 2019 Thank you for visiting Pure, Safe & Natural. We hope you find some useful information. Please note that this website is a participant in the Amazon Services LLC Associates Program, an affiliate advertising program designed to provide a means for sites to earn advertising fees by advertising and linking to Amazon.ca, Amazon.cn, Amazon.co, Amazon.co.uk, Amazon.com, Amazon.de, Amazon.fr, Amazon.it, Amazon.jp. If you purchase something through a link to Amazon or another site, we might receive compensation. The price to you is the same, and we appreciate your support so we may continue researching natural health and wellness.